World Wide Fund for Nature - Kenya (WWF-Kenya), facilitated the first ever dry season census and survey of the African elephant in Loita forest in October 2018. WWF-Kenya facilitated the first ever dry season census and survey of the African elephant in Loita forest in October 2018. This followed the wet season survey supported by WWF-Kenya and other partners in January 2018. The survey was coordinated by Kenya Wildlife Service (KWS) elephant programme with support from the Wildlife Conservation Society (WCS) and other partners. The census was designed to provide an accurate and up to date dataset on the number and distribution of the species in the key community forest and Loita conservation area using standardized dung decay rate assessment and dung density assessment methodologies. Having accurate and reliable data on forest elephant population dynamics and distribution is necessary to inform long-term conservation interventions and to attain conservation impacts for the African elephant as a national and global priority species. This approach also addresses key gaps in the implementation of the Conservation and Management Strategy for Elephants in Kenya (2012-2021) with focus on elephants in forested ecosystems. Results from the January wet season survey and assessment in Loita indicated the presence of 432 elephants within the 450Km2 Loita community forest. Data from the dry season assessment, which is currently under compilation and will be harmonized with the wet season results to get a reliable estimate of the elephants and to ascertain if this population is migratory or not. 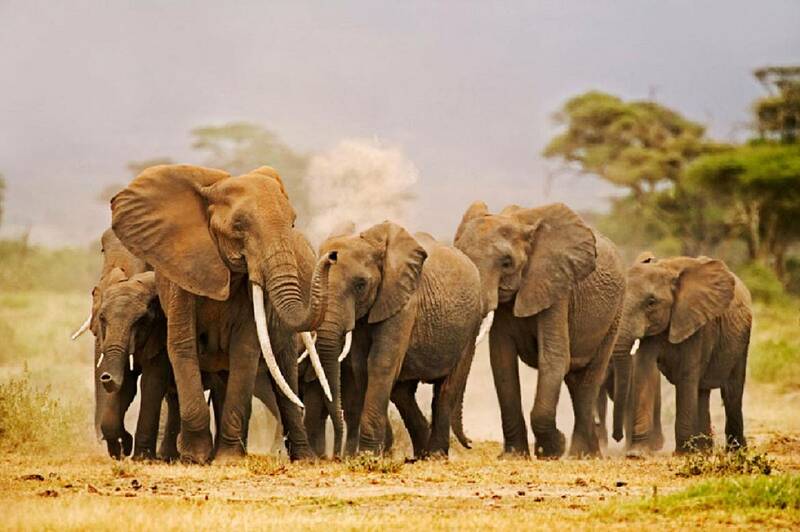 These results will inform WWF-Kenya and partners’ future interventions within the landscape including planned assessments of elephants in other forest patches, as well as modalities of crafting habitat linkages within the landscape for elephants and other range specific and migratory wildlife species. These surveys are to be undertaken periodically to reflect changing scenarios on the ground and as need arises. In addition, the surveys will go a long way in addressing gaps identified by KWS and other elephant stakeholders at a national workshop to review the Strategy for the conservation of elephants in Kenya. WWF-Kenya’s support during the process included: provision of resources leading to the set-up of the KWS forest elephant survey team, equipping of the team, training and support costs relating to the actual census and survey, and facilitation of community meetings prior to the census. Knowing elephant numbers status is critical in preventing human wildlife conflict through the generation of maps, that show areas of high wildlife density, which correlate to human wildlife conflict incidences and further inform strategic deployment of security rangers.